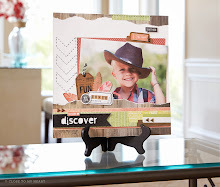 Stamp Happy: Cards made from Picture My Life Inserts! Cards made from Picture My Life Inserts! I thought it would be fun to make cards with the Picture My Life card inserts. 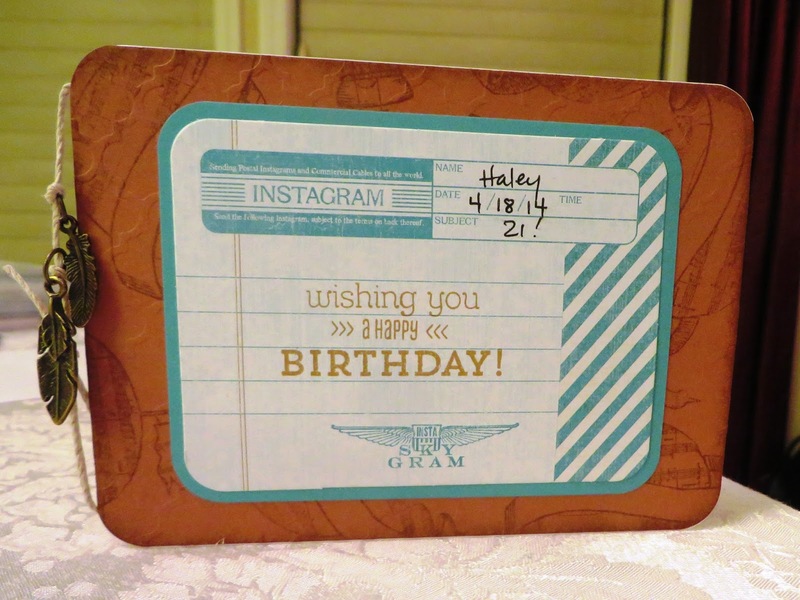 And because the cards are matchy-matchy with our other papers, you can mix them in with your existing 12"x12" pages. COOL! 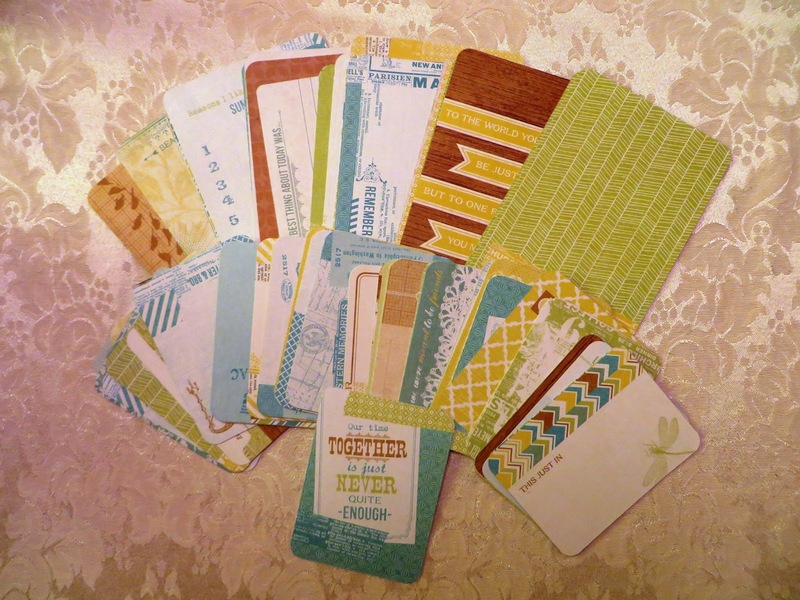 I made a few cards using the super cute Skylark Picture My Life kit, because I could. The toughest part was deciding which card insert to use. I stamped "Thinking of You" in Saddle in the blank square. 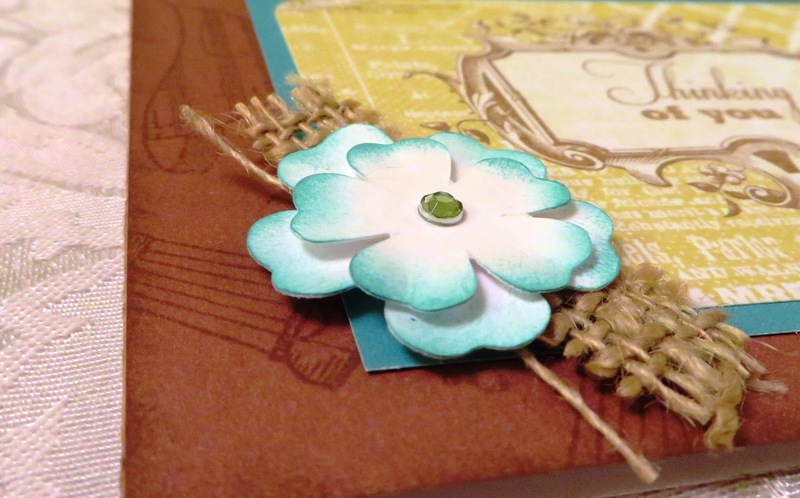 I also stamped (in Saddle) balloons from Give A Lift (D1581, $17.95) on the Saddle card stock as a background. The flowers are from the Cricut Art Philosophy Cartridge, I creased each petal, so it would look more natural, and used a Sponge Dauber and Lagoon ink for the flower. This is the larger sized card. I had to trim a tiny bit off the top and bottom to make it fit my standard card base (4"x 5 1/2"). Honestly, if I didn't use the flower, it would be the easiest card in the world. Just stick it on a card base. This one is similar to the first one, but I tied the metal "feathers" from the "Dreamer" Base & Bling Charms (Z1955, $3.95) with Natural Hemp. 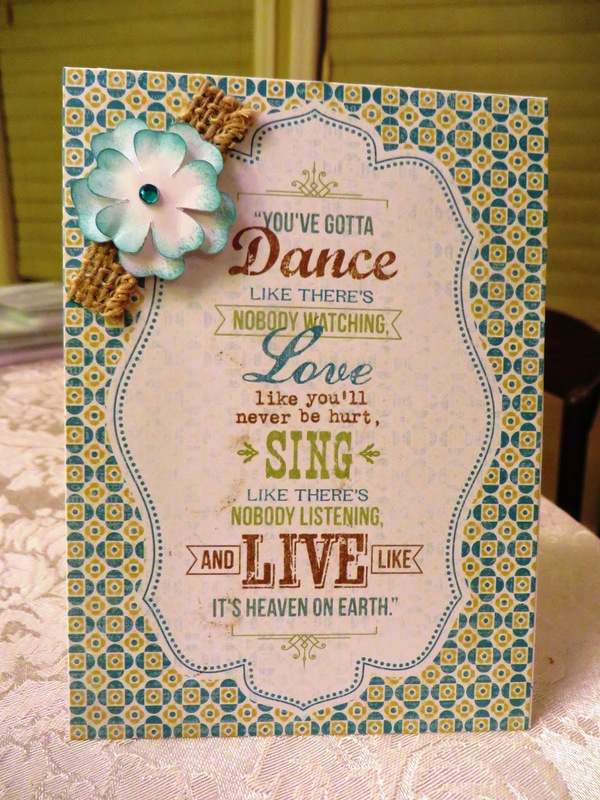 Hope this inspired you to make a card (or scrapbook) today!